People who know me also know that I don't tend to wear lots of jewelry. I do have a couple of pieces that I grab to from time to time, like my YSL Arty Ring or Hermès bracelet (both gifts from my parents), but other from that you won't see any armparty or other types of jewelry on me any time soon. For the past couple of weeks, my mom has been giving me a hard time about not wearing any jewelry. According to her, all girls should wear a nice bracelet or a pretty pair of earrings. But I must admit that, when I'm on Tumblr or Pinterest, I definitely can enjoy a nice piece of jewelry. So I decided to get out of my comfort zone and to purchase two pair of earrings to get me started. Curious to see which ones I got? 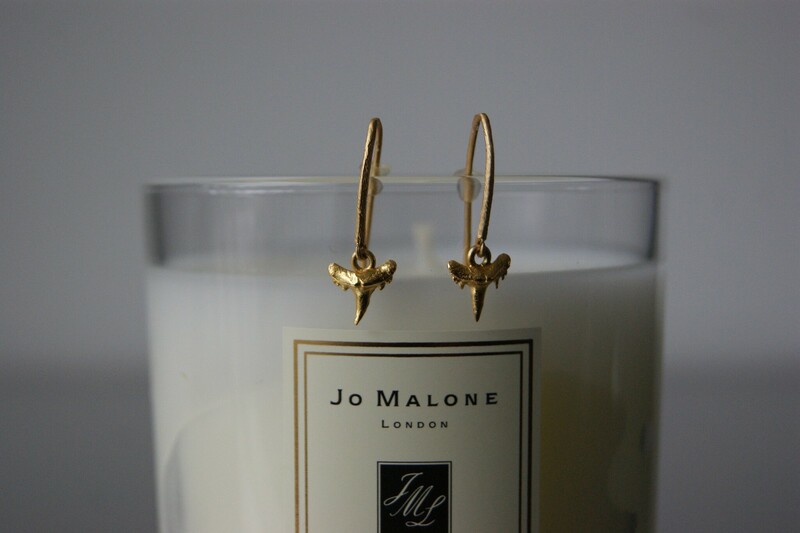 First up are these golden earrings by Lobogato, which I was allowed to pick out from their website. 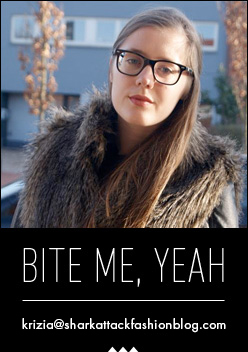 I went for these in the shape of shark teeth, because (obviously) my blog's name is Shark Attack and I just love these creatures. They're beautiful and often misunderstood. Did you know that out of 400 kinds of sharks, only 5 are actually dangerous to humans (often because they mistake swimmer for a seal or another prey). Plus, they're one of the oldest creatures to swim our oceans. Unfortunately, a lot of shark species are threatened to extinct due to extensive hunting on sharks. I'm going to stop, before this website turns into a biology class. 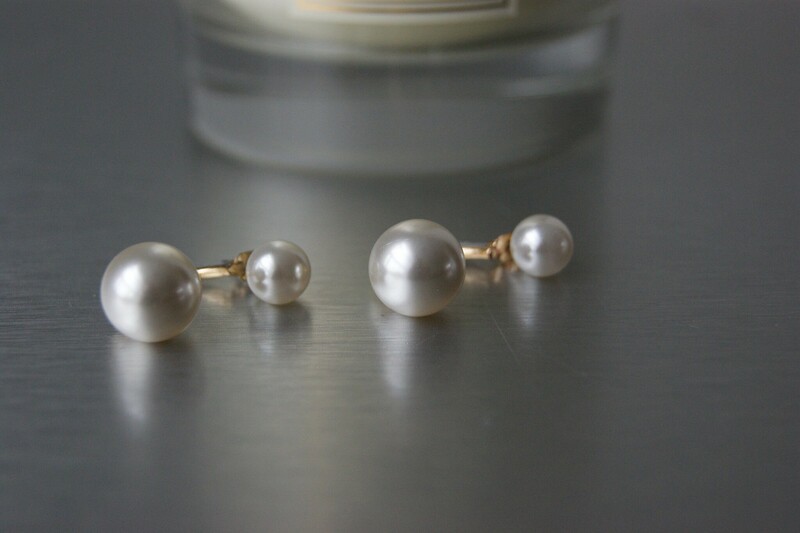 So, I love the symbolism behind these earrings, plus the fact that they're tiny and delicate. De oorbellen van Sacha zijn erg mooi! Ik heb ook look-a-likes gekocht want de echte zijn best prijzig! Love the pearl earring!! Cute!!! 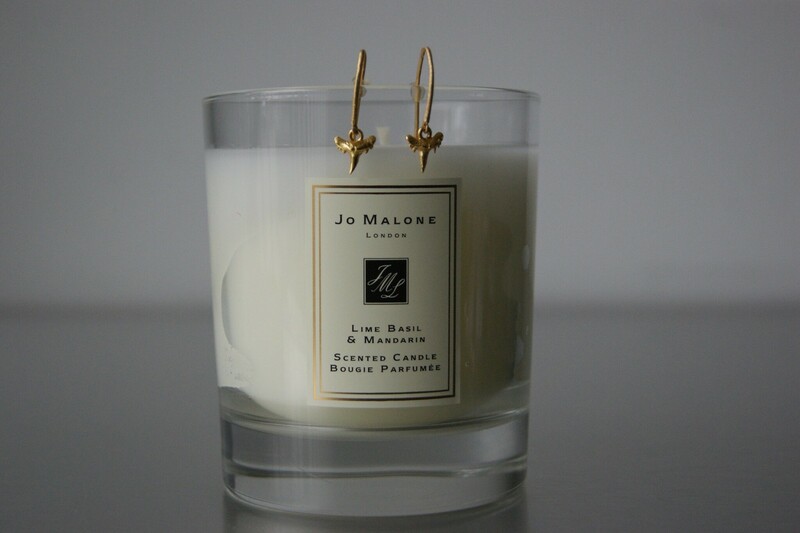 Love Jo Malone fragrances, this candle is great! ooo die lobo gato oorbellen zijn super mooi! And your earring is just perfect! Very classy! Candles are literally my favorite thing! Prachtige oorbellen! Vooral de Dior-likes zijn zo mooi! Aaaah, ik vind Lobogato een érg leuk merk. Veel plezier met je aankopen :-).